Students will spend their days discovering Shakespeare through the best tools and techniques theater has to offer. The LADC technique begins with the improvisational work of Viola Spolin and Agosto Boal, and expands on that to include a variety of physical and vocal disciplines – with the ultimate purpose always to invoke the creative spirit that exists in every child. 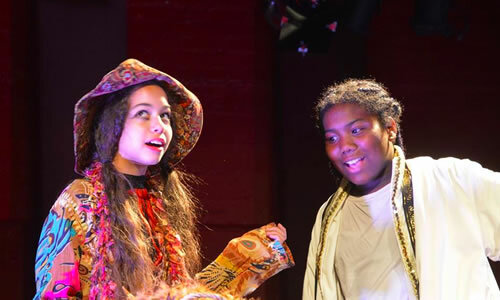 During the Summer Intensive, our Players will work on a variety of scenes and sonnets, discover the world of Shakespeare’s Elizabethan England, and work together to create a performance that will be shared with friends and family. Our 2018 – 2019 Season! Copyright © 2019 Los Angeles Drama Club. All rights reserved. Theme: Himalayas by ThemeGrill. Powered by WordPress.